during live sessions and retrieval sessions. Do not use audio on a dial-up connection with video. audio only on a network connection or from a LocalView station. Fig. 3. 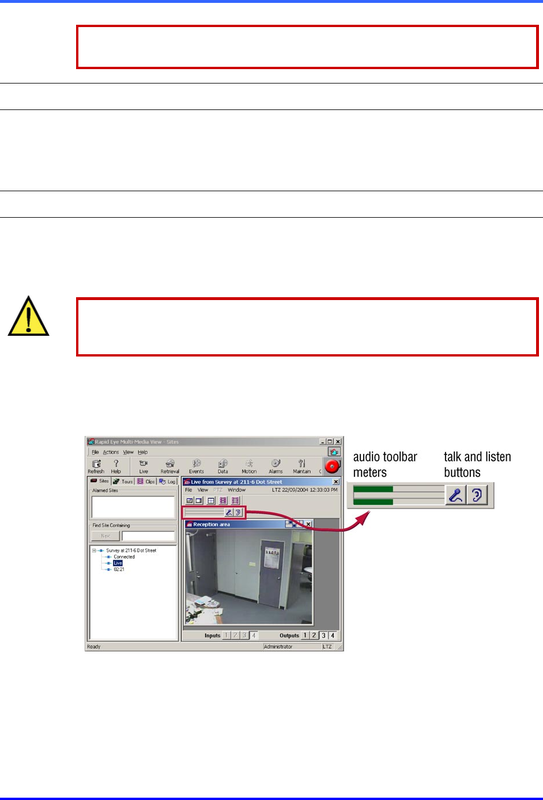 Audio toolbar for a Multi-Media LT unit, when using View.